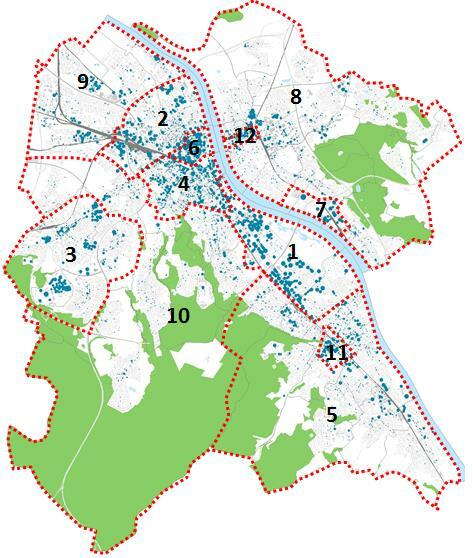 The city of Bonn, with 3.86 M sqm. of office space, belongs to the ten largest office markets in Germany. Global players and governmental functions, science, international institutions and widely diversified cultural activities and a very high quality of life are driving factors for Bonn’s success story. Office space take-up totaled 108,210 square meters in 2017. The average Office take up per year has been around 91,500 square meters for the past 10 years. The average rent for Office space per square meter and month is 11.83 €, the realized prime rent is 18.84. But there are higher rents seen in certain locations and for very well-equipped Offices. The vacancy rate for Offices in Bonn was by the end of 2017 as low as 2.62 percent with a total of 100,989 square meters of vacant office space. Even though the rate rose from 2.17 in 2016, the annual result of the vacancy rate Shows again the scarce availability of office space in Bonn and the need for additional investments. As part of an office market study, a total of 3,730 office locations were recorded in the Bonn urban area. On the basis of its own market knowledge, Economic Development has defined 12 submarkets. Contrary to the otherwise dominating central location, the spatial concentration of office space in the Federal Republic of Bonn represents a special feature and additional potential. On the opposite bank, the Bonn Arch, there are also further development opportunities.